Signpost is a deals aggregator with a difference. 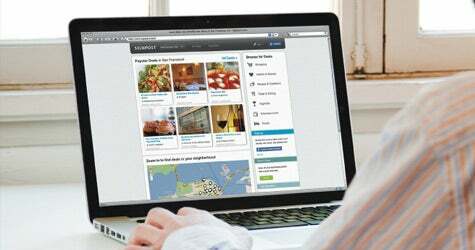 Like Groupon, the 800-pound gorilla of the social commerce segment, Signpost identifies local bargains. But it spotlights dozens or even hundreds of deals each day, and also pinpoints bargains on a neighborhood-by-neighborhood basis. Credit that kind of ground-level intelligence to Signpost's reliance on the collective consumer consciousness. Deals are discovered, shared, curated and rated by users, not negotiated by an internal sales force. "Small businesses have a lot of great deals, but it's difficult for consumers to know what's out there and to filter the signal from the noise," says Signpost CEO Stuart Wall, who co-founded the company (then named Postabon) in 2009. "Our platform encourages customers to post the best deals in their immediate area." Signpost breaks down bargains into seven categories--Shopping, Health & Beauty, Fitness & Outdoors, Food & Dining, Nightlife, Entertainment and Travel. Availability of bargains is all up to the merchant. "The platform can solve a lot of issues for local businesses," Wall says. "They could post offers in real time to offload unused capacity." Signpost does not charge a premium to post or access deals, and Wall is quick to point out that unlike location-based mobile applications such as Foursquare and Gowalla, Signpost doesn't require consumers to check in to capitalize on an offer. The emphasis is on inclusion, not exclusion. "If you can get a large community excited, you have the ability to generate a lot of content," Wall says. "So far, we've had over 10,000 deals in the New York City region posted by our users." Signpost is mulling how best to monetize its platform. For now, the firm is supported by venture funding, including an unspecified investment from Google Ventures last October. That infusion heralded an expansion beyond the Big Apple into the Chicago, Boston and San Francisco markets, as well as a retooled website touting new features such as enhanced browsing and a simplified posting process. Signpost also plans to roll out new tools to make it easier for merchants to post and manage offers. "What we offer is reach," Wall says. "On our platform, the best deals get curated and distributed on our site as well as in our e-mail, our iPhone app and across other platforms like Facebook and Twitter. If businesses generate remarkable content, they will reach customers."